The minor league season has been over for about a month now. For me, it’s been a weird stretch of time where I don’t know how to even go about life on a daily basis without seven games to follow. No baseball involving minor leaguers, however, has ended it’s cruel stretch in my (and your) life. On Tuesday the Arizona Fall League got underway. The Cincinnati Reds sent eight players to the league to play for the next six weeks. The Reds are sending four position players and four pitchers to participate in the league. Infielders Alfredo Rodriguez and Shed Long will be joined by outfielder Taylor Trammell and catcher Mark Kolozsvary. For Kolozsvary, he’s on the ‘taxi squad’, which means he’s only allowed to play two times a week. On the mound the Reds will be sending relievers Ty Boyles – the lone lefty, along with Alex Powers and Austin Orewiler. Starting pitcher, at least during the regular season, Wyatt Strahan is also joining them. The first three pitchers listed performed well during the year, but Strahan really struggled during 2018. For more information on what each guy could be looking to work on, check out my article from yesterday. 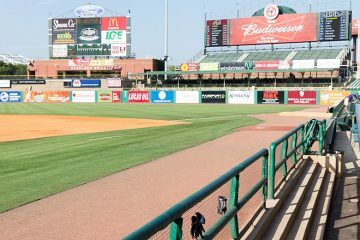 From a “prospects” perspective, the Cincinnati Reds guys to watch are Taylor Trammell and Shed Long. Perhaps an interesting thing could be to watch what happens with Long. As a second baseman, he’s blocked in the organization as things stand right now. Scooter Gennett is there at the big league level. Top prospect in the entire organization Nick Senzel is also blocking him – though he’s also taking time to try the outfield during instructional league. But, if second base does open up it would seem that he’d slide back in there. For Long that could mean that a strong showing in Arizona could build up more trade value and put both he and the Reds in better position for 2019. It’s not just baseball in Arizona that is getting started this week, though. The fall/winter leagues also get started in Mexico and Venezuela on Friday, and in the Dominican Republic on Saturday. Rosters are not out yet for any of those leagues/teams. With that said, there should be plenty of representation from the Reds organization among those leagues. Last season saw Aristides Aquino, Alberti Chavez, Luis Gonzalez, Gabby Guerrero, Jose Siri, Randy Ventura, Miguel Aguilar, Rafael De Paula, Juan Martinez, Domingo Tapia, and Jose Valenzuela all make an appearance in one of those three leagues. The odds are that many of them will do the same this upcoming season. We will have to wait until November before seeing baseball in Puerto Rico and Australia. There’s a chance that the Reds could have players in both of those leagues as well. We will have to wait and see the rosters, though. But we do know of one Reds employee who will be in Australia – but he’s no longer a player. Arizona League Reds coach, and former player, Donald Lutz will be playing in the league once again. He’s been a staple in the league for several years now and will be making at least one last trip. 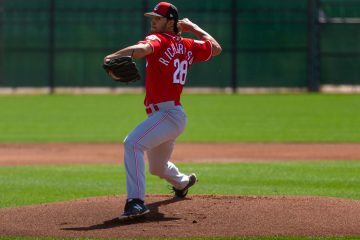 If you are wanting to follow along, you can be sure that I’ll be covering things daily over at RedsMinorLeagues.com. But you can also keep track of the Reds specific players and their performance at this link. And you can keep tabs on box scores at MLBFallBall.com. If you click on the “other offseason” section in the upper right corner, a drop down menu will show you the other options for various leagues to follow, too. Shed Long looks like he has some athleticism. Any chance the reds give him a chance in the outfield or shortstop? Doug could probably answer better as he’s seen him play a lot more than I have. Based on what I’ve seen from Long and what I read about him, I could see him maybe getting some work in the OF. I don’t think he’s a SS though. He’s athletic but not like Senzel or India or Green. I don’t know about CF either as he’s fast but perhaps not fast enough. Long was drafted as a catcher and was moved because the Reds developmental folks thought he had the athleticism to play 2B. In almost 100% of the situations, if a guy isn’t playing shortstop right now, he’s never going to play shortstop. Teams don’t play shortstop caliber defenders at places that aren’t shortstop, particularly in the minor leagues when you can simply assign guys to different levels, or split playing time between 2B/SS if you’ve got two guys that can actually play there. Maybe he sees time in the outfield, but he’s just as blocked there as he is at second base.